What’s the maximum amount of people we can accommodate? If hiring the whole site we can accommodate 50 people overnight. Are there good local pubs? The Woodman Inn at Fernham is a mile from the site. This is the best option for your Saturday lunch, stretch your legs with the walk there and then take advantage of their courtesy mini bus for your return. The owners, who’s previous experience includes running the well know ‘Ivy’ and ‘Caprice’ in London, so expect amazing food (at local prices) in a welcoming atmosphere. Is there any B&B accommodation nearby? The King and Queen, at Longcot has 7 newly renovated rooms. So for those in your party that might want to skip the more informal sleeping arrangements this is a very good option. The ancient Uffington White Horse is well worth a visit. After a short drive, you can hike to the top and take in beautiful views over Oxfordshire. Otherwise, leave your car and access the footpaths from the site, visiting one of the many country pubs en route (we provide ordnance survey maps). There are horse riding stables near by and take a short drive to the town of Lechlade for boat/kayak hire on the River Thames and Watersports at Cotswold Watersports. 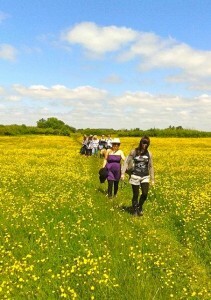 Oxford is a 40 minute drive from the site which is best visited in the day for punting and sight seeing. Please do not hesitate to call Sarah if you would like some advice on the area or have a particular activity you would like to find locally. Can we bring our vehicles onto the site? No vehicles are allowed on site but we provide ample parking space approximately 50 yards from the site and pulley carts to ease the unloading/loading. We run from the second weekend in April to the first weekend in October. What is our ‘noise’ policy? Our site is right in the middle of the Valley of The White Horse and as such, noise travels far! 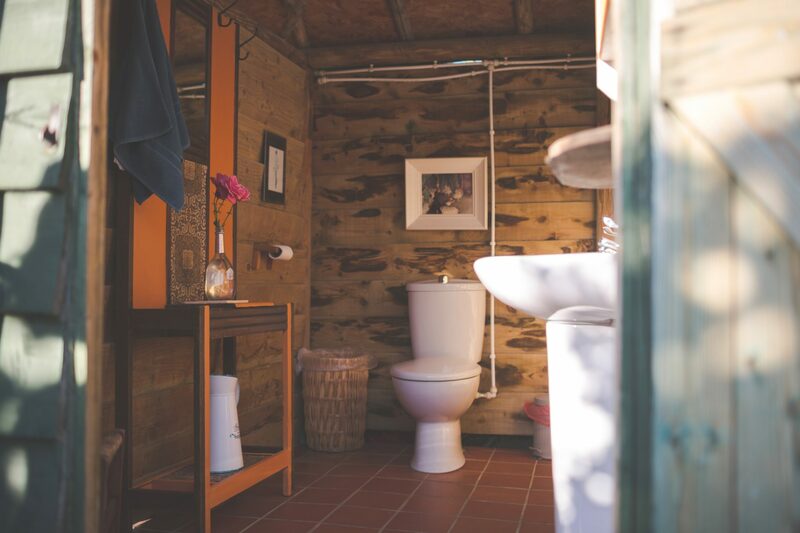 Therefore we ask our clients to be respectful of the nearby villages as well as to other parties on site. All music (including your singing) MUST be off by 11.30pm. Of course your campfire chats can continue thereafter. Is there electricity on site? Each venue has solar power, providing power for lights and mobile phone charging. They also have their own portable music system to play your favourite tunes from. If you can manage without hairdryers/straighteners for the weekend it would be appreciated, but if this is a struggle then some 12v appliances can be provided. Are there shops nearby and can we get a supermarket delivery? There are 3 large supermarkets, Waitrose, Aldi and Tesco at Faringdon only 4 miles from us. Tescos do ‘Click n Collect’ and this is the easiest option of getting your food/drink to the site. If making an online order please book in a slot at Tesco, Faringdon Park. Are there any takeaways nearby that will deliver to the site? Are there shower and toilet facilities? 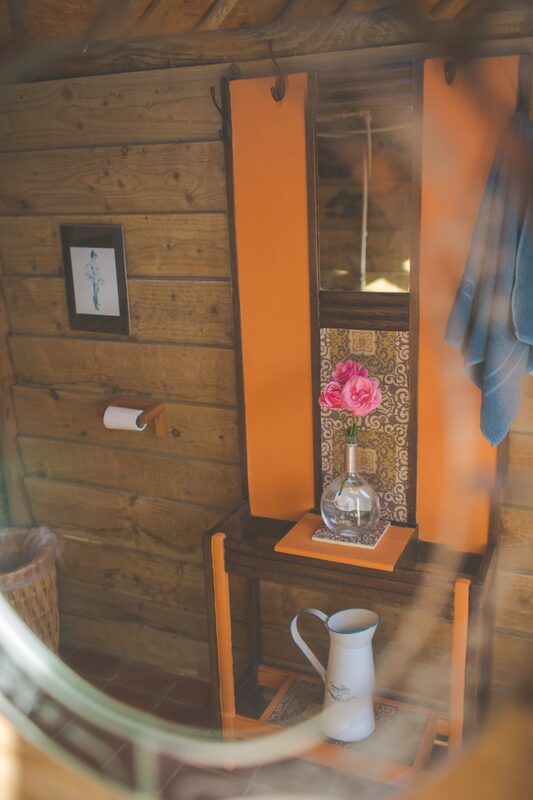 Let’s be honest…us girls all worry about the toilet facilities especially when camping! 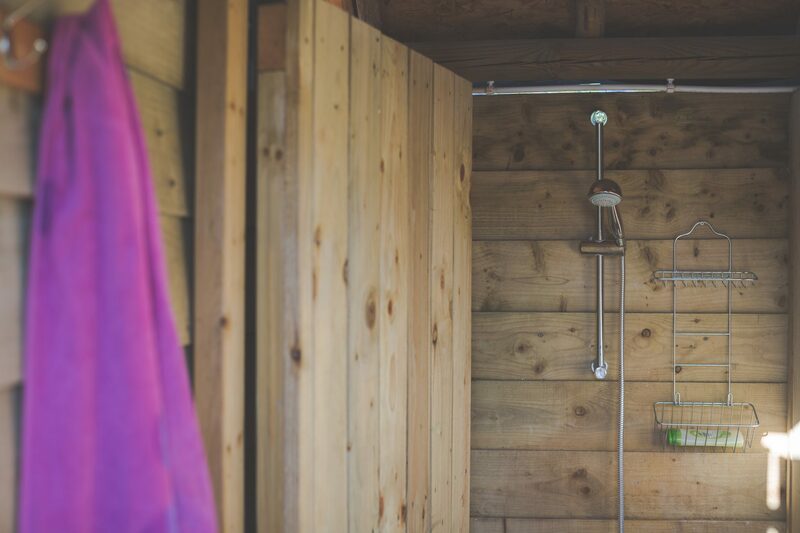 Worry not… we have excellent hot showers and toilets (not compostable!) – kept clean and fresh throughout your stay ….these are them!